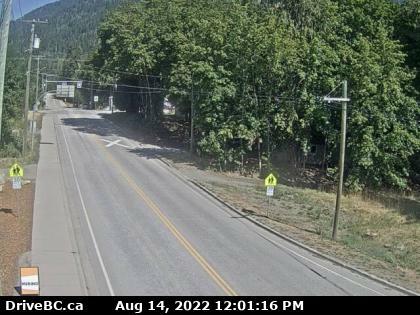 Highway 3A The 154 km (96 mi) long Kootenay section of Highway 3A begins at Castlegar, and travels 20 km (12 mi) northeast to South Slocan, where Highway 6 merges onto Highway 3A. The two highways proceed east for 22 km (14 mi) to Nelson, where Highway 6 diverges south. 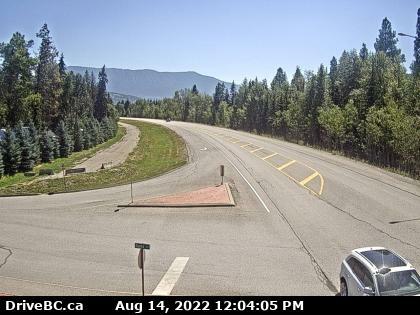 34 km (21 mi) northeast of Nelson, Highway 3A reaches Balfour, on the western shore of Kootenay Lake. The Kootenay Lake ferry takes Highway 3A across Kootenay Lake to Kootenay Bay. 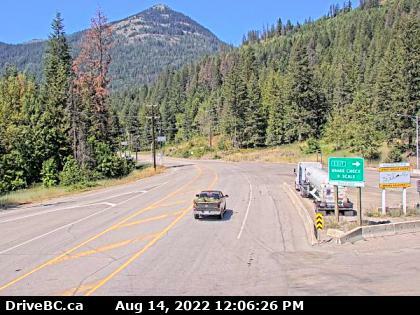 Highway 3A then follows the eastern shore of Kootenay Lake for 78 km (48 mi) all the way south to Creston, where it terminates. Highway 6 has a total length of 407 km (253 mi). It begins at the Canada-U.S. border crossing at Nelway, where it connects with State Route 31. It travels north for 10 km (6 mi) to the Burnt Flat Junction, where the Crowsnest Highway merges onto it from the east. 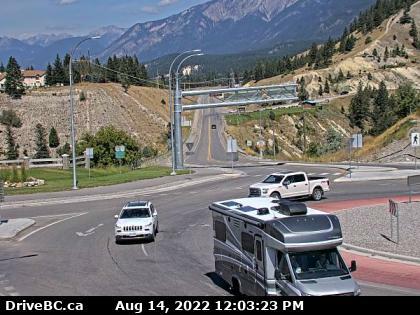 The Crowsnest carries Highway 6 north for 14 km (9 mi) to the town of Salmo, where the Crowsnest diverges west. From Salmo, Highway 6 goes north for 41 km (25 mi), mostly following the Salmo River, to the city of Nelson, where access to the Whitewater Ski Resort is located. 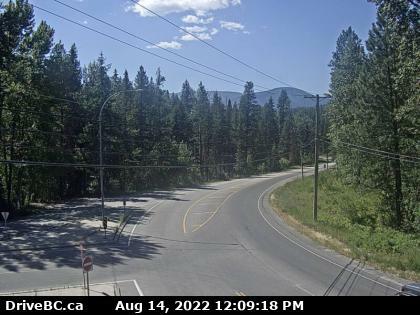 Highway 3A merges onto Highway 6 at Nelson, and the two highways travel west for 21 km (13 mi) along the Kootenay River, passing through the communities of Taghum and Bonnington Falls, to where Highway 3A diverges southwest just west of South Slocan. From South Slocan, Highway 6 follows the Slocan River north for 79 km (49 mi) to the community of New Denver, where Highway 31A meets Highway 6. 48 km (30 mi) northwest of New Denver, Highway 6 reaches its junction with Highway 23 at the resort community of Nakusp. Highway 6 then turns southwest and proceeds to follow the east bank of the Columbia River for 57 km (35 mi) to Fauquier, on the east shore of Lower Arrow Lake. Highway 23, which is 250 km (155 mi) long, begins in the south at Nakusp, where it meets Highway 6. 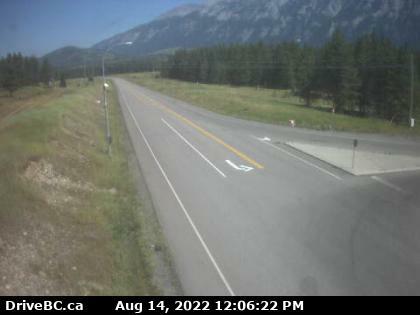 Highway 23 winds north along the eastern shore of Upper Arrow Lake for 49 km (30 mi) to its junction with Highway 31 at Galena Bay. 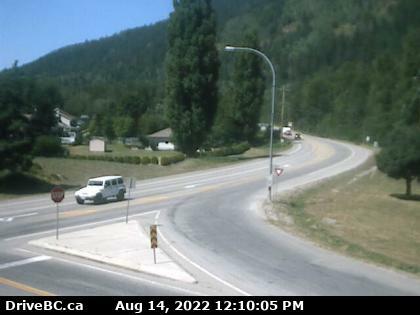 The Upper Arrow Lakes Ferry continues Highway 23 across the Upper Arrow Lake to a location known as Shelter Bay. North of Shelter Bay, Highway 23 follows the west bank of the Columbia River for 49 km (30 mi) to where it meets the Trans-Canada Highway. 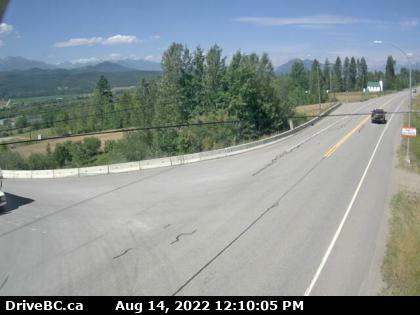 Highway 23 follows the Trans-Canada east through the city of Revelstoke for 1 km (about ½ mi), finally turning north after leaving Revelstoke. North of Revelstoke, Highway 23 entirely follows the east bank of Revelstoke Lake for 151 km (94 mi), past the old townsite of Mica Creek to its northern end at the Mica Dam facility. between Sparwood and Elkford at Line Creek Mine Rd, looking north. 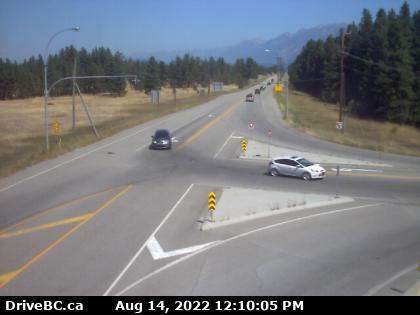 Hwy 93 / 95 at junction of Hwy95A, looking north. Highway 95A About 3 km south of Kimberley on Highway 95A at Black Bear Crescent, looking Southwest.